Lucky 8 Roulette has been a regular on bookies betting terminals for close to ten years. In that time it has undergone various makeovers, yet still retained its appeal, while providing high odds and a progressive jackpot. The concept of Lucky 8 Roulette follows that of standard roulette, however there are 50 numbers as opposed to the regular 37 (0-36), this means that the odds have increased and pay 47/1 for a straight-up number. 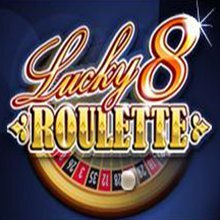 Lucky 8 Roulette is available to play in William Hill bookies, and although it has been gradually pushed to the back screens of the betting terminals, it is still there mixed in with the likes of Extra Bet Roulette and Hot Number Roulette. Lucky 8 Roulette uses a progressive jackpot in addition to the standard roulette game play, so it is worth loading up each Lucky 8 Roulette game on each betting terminal as you will want to play the one with the highest progressive jackpot. 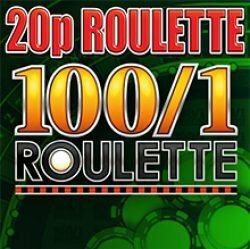 Betting is as simple as regular roulette, and the animation is similar in style to 20p Roulette, although the numbers a slightly more squashed together due to the wider selection. Choose your chip value and place your bets across the Lucky 8 Roulette table. 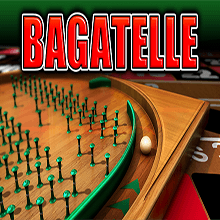 You can cover the usual roulette options, including corners, splits, streets and outside bets such as red/black and high/low. The minimum bet per game is £1, with the maximum either £50 or £100 depending on your settings. The online version of Lucky 8 Roulette has a minimum bet of £1, with a maximum win per game of £100,000 so if you really wanted to, you could bet £50,000 on red! Once you have made your bets, press the ‘bet’ button for the animated wheel to commence spinning. In the bookies the ball will stop opposite to where it started in the same way as 20p Roulette does. Online Lucky 8 Roulette has a slightly different animation, so it’s not possible to predict the number before the ball stops, especially as it bounces a little towards the end. Any winning bets are paid according to the paytable which is 47/1 for a straight-up, then divided down accordingly for splits, streets etc. The progressive jackpot accumulates with each bet until it is won, however you do not need to be playing on the Lucky 8 Roulette bonus position to win the pot. If the ball lands on the Lucky 8 slot, the bonus chance game opens up. In the bookies this involves a wheel numbered from 1 to 8, if the rotation stops on 8, you win the progressive jackpot which can be anything up to a maximum of £350. Online, Lucky 8 Roulette uses three wheels numbered from 1 to 8, each wheel must then land on the 8 to win the progressive jackpot. You can increase your odds by betting more money, with an increasing stake adding a further ‘8’ to each wheel, improving your odds considerably. The online version of the progressive jackpot can reach many thousands of pounds, and accumulates rapidly depending on the number of players, as the online game is linked. Just like the bookies version of Lucky 8 Roulette, you do not need to bet on the bonus position to win the progressive pot. If the ball lands in the bonus slot, you will be taken to the bonus game, any bets placed on the Lucky 8 position are paid in addition to the progressive jackpot. 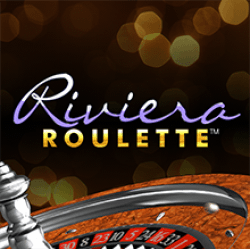 You can play Lucky 8 Roulette online exclusively at Coral.